Summer has definitely arrived here in Central Texas…and the afternoons are starting to get hot. That means we’re always on the lookout for icy beverages to keep us cool and refreshed. Iced tea and Texas basically go together like peas and carrots. Thanks to Owl’s Brew cocktail mixers, I now have a fun way to incorporate iced tea into my Summer cocktails! 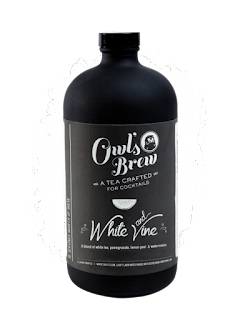 Owl’s Brew describes its creative cocktail mixers as “a tea crafted for cocktails." 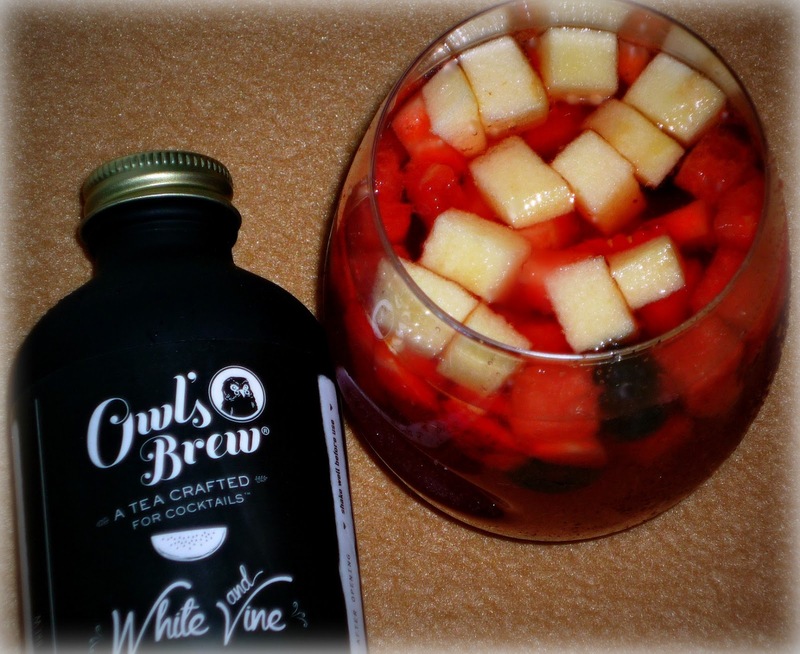 Owl's Brew combines tea blends, fruit juices, and agave into delicious mixers. Owl’s Brew is fresh brewed from tea, spices, fruits, and herbs -- and it comes in four fun flavors: Classic (English Breakfast-based), Pink & Black (Darjeeling with a hint of hibiscus), White and Vine (white tea and watermelon), and tropical Coco-Lada (sweet with spices and coconut). For easy cocktails, simply mix two parts Owl’s Brew with one part alcohol of your choice. Owl’s Brew also offers lots of simple, creative cocktails recipes on its website. I recently received samples of Owl’s Brew mixers to create a fun and fruity tea-infused Summer cocktail. I used Owl's Brew White and Vine mixer to create a fruity, refreshing cocktail that’s perfect for the upcoming July 4th holiday -- but it can be served all Summer long! White and Vine features light-tasting white tea paired with flavors of pomegranate, lemon peel, and watermelon. 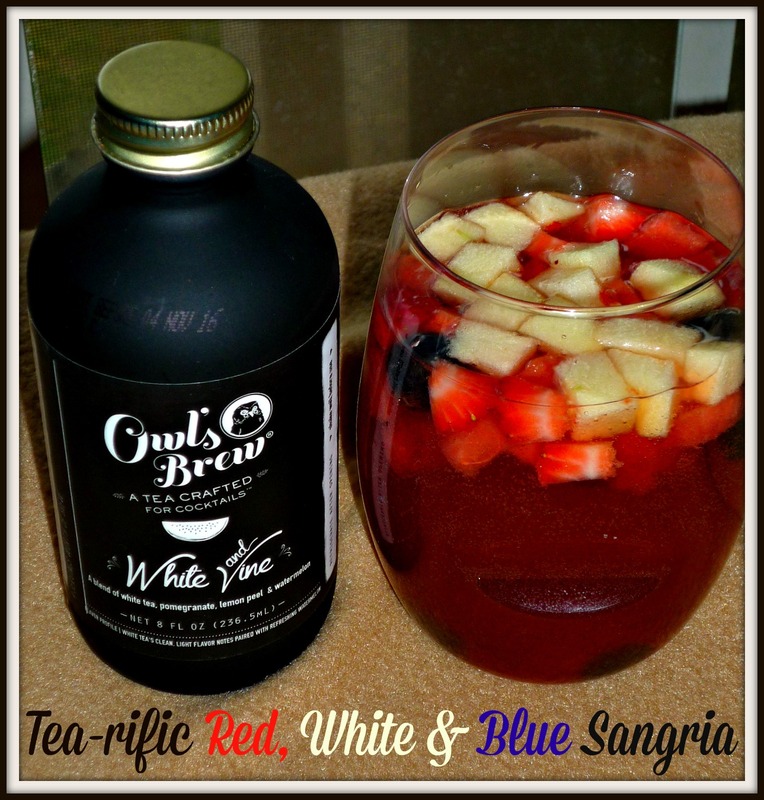 My fruity Tea-rific Red, White & Blue Sangria is simple to make and full of refreshing flavors and colors. 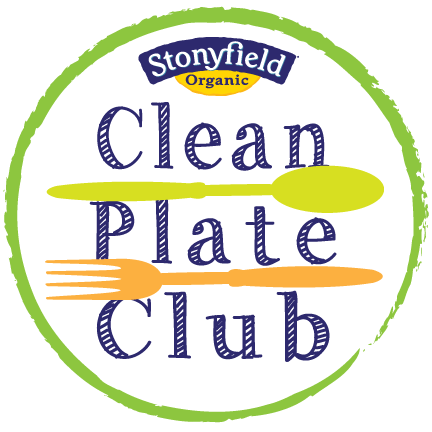 The red comes from strawberries and watermelon, the blue from frozen blueberries, and white from diced green apple. I’m sharing the method to create individual sangria cocktails, but you can also easily multiply the ingredients and combine them in a pitcher if you’re planning a large party. This tea-rific sangria is pretty much an automatic Summer party in a glass! Directions: Place the strawberries, watermelon, apple, and blueberries in a large wine glass or tumbler. Add the Owl’s Brew White and Wine, white wine, and lemon-lime soda. Stir well to combine and serve immediately. 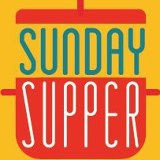 That’s it…so simple and delicious! This fruity sangria is lightly fizzy and features a burst of fruit flavor in every sip. The addition of white tea is subtle and refreshing, and the remaining alcohol-soaked fruit is also fun to eat when the sangria is gone. Don’t drink alcohol? No problem! Owl’s Brew is an alcohol-free mixer that can also be mixed with fruit juice or sparkling water to create fun mocktails and punch. 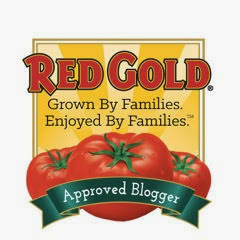 Owl’s Brew can be purchased online at their website, as well as at select retailers nationwide. I also have good news for my Texas readers: starting this month, you can purchase Owl’s Brew at most Texas H-E-B locations! Disclosure: Owl’s Brew provided me with samples of their products to facilitate this article. All opinions expressed are solely my own.